Two separate spectacles of iconic proportions are set to put the local concert scene on fire come February, with pioneering mainstream balladeers Kuh Ledesma and Basil Valdez teaming up at a premier Makati hotel and Pinoy pop-rock gods Ely Buendia and The Itchyworms performing together in a major concert venue. Kuh, a household name with classic hits to her name, gets it on with the highly respected Basil in My Unforgettable Valentine at the ballroom of Dusit Thani Makati. The intimate dinner, scheduled on the evening of Valentine’s Day, promises to be a much-awaited return bout for the two as they have not been seen collaborating on stage for quite a while. This show is among Kuh’s upcoming events, with the complete list accessible via www.kuhledesma.net. 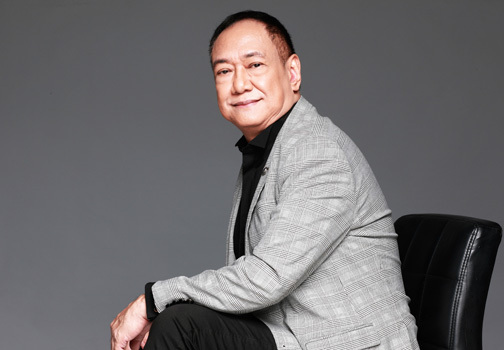 Years back, Kuh and Basil made waves in well-lauded concerts, including Socorro, Bakit Mo Inaawitan si Basilio, Devoted, and the tribute concert to George Canseco dubbed Paano Kita Mapasasalamatan, which toured the United States. “Kuh will be singing her signature love songs, chart-topping singles, and other surprise elegant numbers while her special guest Basil will dish out some of his classics. They will also perform romantic duets,” shares singer-songwriter Marq Dollentes who is a close friend of Kuh and has inside knowledge of the beloved collaboration. The other pairing features Ely and the Itchyworms foursome of Jugs Jugueta, Jazz Nicolas, Kelvin Yu, and Chino Singson. Simply billed Greatest Hits, the evening of familiar rock hits set at the Newport Performing Arts Theater in Resorts World Manila will showcase the seamless synergy of a creative collaboration dating back to the late 90s. Tickets to this concert are available on www.ticketworld.com.ph. 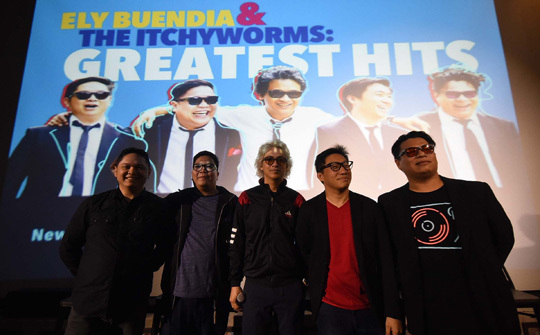 To refresh public memory, Ely helped produced Itchyworms’ debut package Revenge of the Unsigned while Jazz played keyboards during the open-air Eraserheads reunion concerts a decade ago. He was the guy who posed on stage with the Pinoy Fab Four at the end of their Final Set. “Parang may magic when we play songs with Ely in small gigs. So this is a big opportunity for more people to see that magic,” Jazz noted.